Sealed enclosure with light ruggedization ideal for construction sites, mining, oil & gas exploration, first responders, paper & textile mills or manufacturing facilities. Installed printer maintains all agency certifications such as CE and UL. 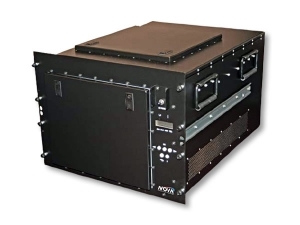 The Model 1500 is specifically designed as a low cost, sealed, universal industrial-grade electronics enclosure ideally suited to house a “drop-in” COTS printer out of the box using a universal hold down mechanism. Since the print engine is not modified all agency certifications such as CE and UL are maintained. 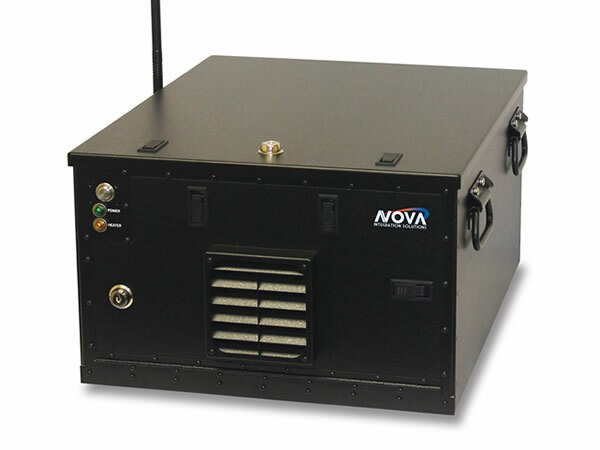 This model offers the protection of an aluminum enclosure, utilizes power filtering, and is sealed with filtered air intake/exhaust to extend life of installed electronics. This enclosure is ideally suited for industrial environments such as construction sites, mines, paper and textile mills, and other challenging applications requiring light ruggedization with dust/moisture protection. The modular enclosure includes a sealed power cord and built in sealed RJ45 and USB panel mount connectors with dust caps. A variety of options are available such as wifi, cellular hotspot, heater for -10°C operation and external industrial shock tray for vehicle applications. 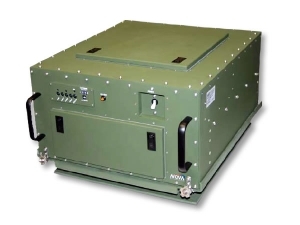 The Model 1500 enclosure can be ordered from NIS with a pre-installed printer, or it can be purchased as an empty enclosure in support of a field installed printer requiring minimum resources. Additional features include storage space for spare toner or tablet computers and 3 extra outlets for charging. The Model 1500 is compact and is limited with its initial release to a number of prequalified black and white laser printers that can be used. Other sizes and options will become available, contact NIS for details. The Model 1500 is an industrial-grade product utilizing MIL-grade design concepts. Construction Universal light-weight industrial-grade all aluminum enclosure. Print Engine (standard) Brother HL-L2360DW print engine installed as a standard. Contact NIS for other approved devices! Industrial style shock tray hard mounts enclosure to shock tray with steel coil isolators.